Getting started with your chiropractic marketing plan can be daunting for most doctors. Where do you start? What do I need to work on? As we’ve talked about in previous articles, Google has shifted focus to Local Search over the last few years. If you run a local business, like a chiropractic office, you need to work to optimize your Local Search placement. To help make your life easier, we’ve put together some free tools that help you target two of the most critical aspects of Local Search: Citations and Reviews. Citations include directory listings that both patients and Google uses to rank your site. Those include the major ones like Yelp, Google My Business, and Facebook, but dozens of other directories, as well. Our free Local Business Listing Analysis Tool allows you to see where you stand now and where you need work. We’ve written extensively about the importance of patients reviews in building your site’s online reputation. Google uses reviews to determine how popular your office is and the quality of service you provide. If you look at any chiropractor in any city who ranks #1, you’ll see that they consistently have a large number of five star reviews. There are many aspects of review building for chiropractors, including soliciting reviews from patients and responding to negative reviews. Our free analysis tool helps you plan a path forward by analyzing the reviews you currently have. If you're new to working with your chiropractic website, it can seem overwhelming. We're here to help. Our staff of chiropractic website experts can answer any of your questions and help you find an easy solution to your online needs. 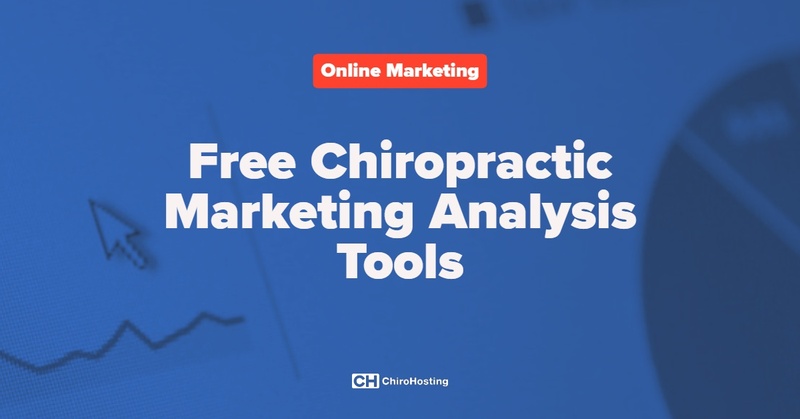 We've been helping chiropractors market their practices since 2000. On top of providing doctors with premium chiropractic websites at an affordable price, we always want to give our clients the best customer support. Beyond great websites, we also provide our clients with services that automatically share chiropractic content on their social media, help them get more 5-star online reviews, and increase their visibility online by working to improve their search engine ranking. If you're looking to stand out from your competition, you can ask us any questions and get guidance from an online marketing expert. Click the button below to schedule a convenient time.